NEW YORK, NY – I love champagne so much I could cry. Champagne bars, on the other hand, can frequently disappoint by either trying to hard, being too serious or just flat out not knowing what they’re doing. 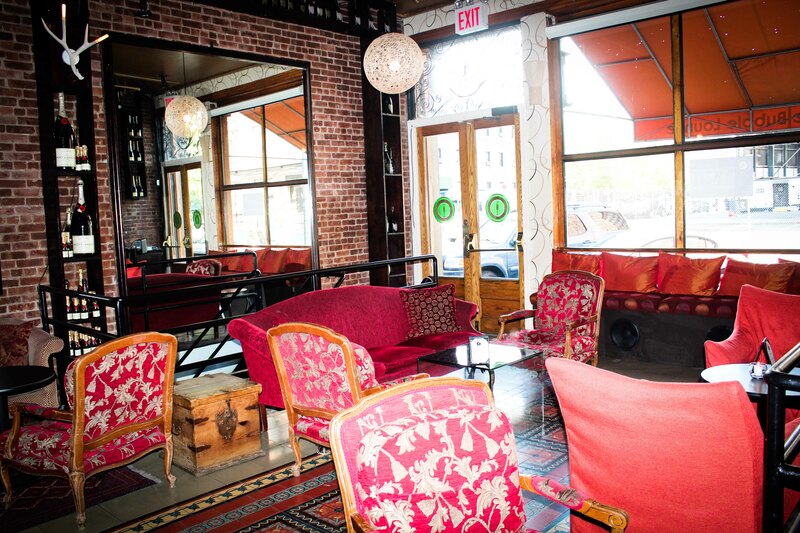 The Bubble Lounge – while not completely perfect – is quite an agreeable place to gulp down the bubbly. 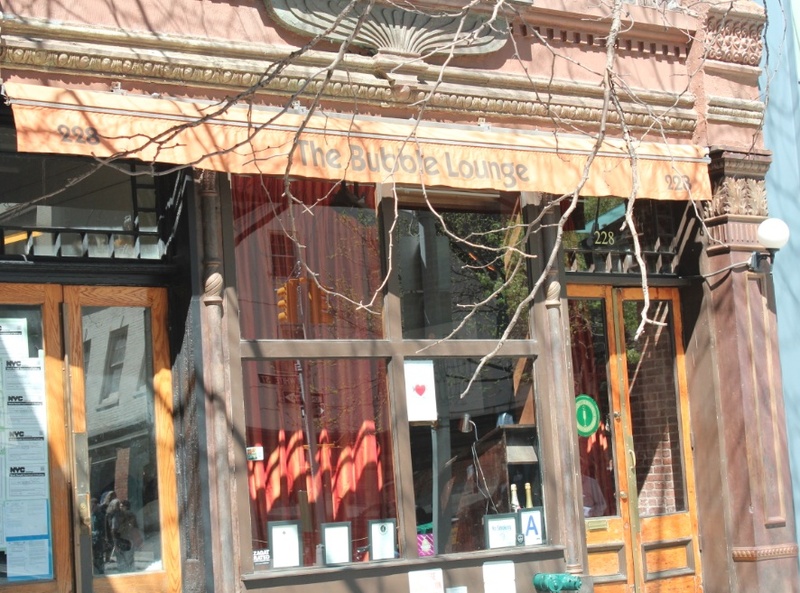 I started coming to The Bubble Lounge a few years back, before I moved to New York. I loved it right from the beginning – on that first visit, they brought down a big screen and showed Xanadu with the sound muted. Surreal, to say the least, but definitely in a good way. Other nights there have seen strong DJs in the house, spinning everything from 70s funk and disco to jazz. I even came here after my wedding reception and danced the night away. The place is still well worth a visit even in the early evening when they’re not showing cult movies from the 1980s or spinning great tunes. 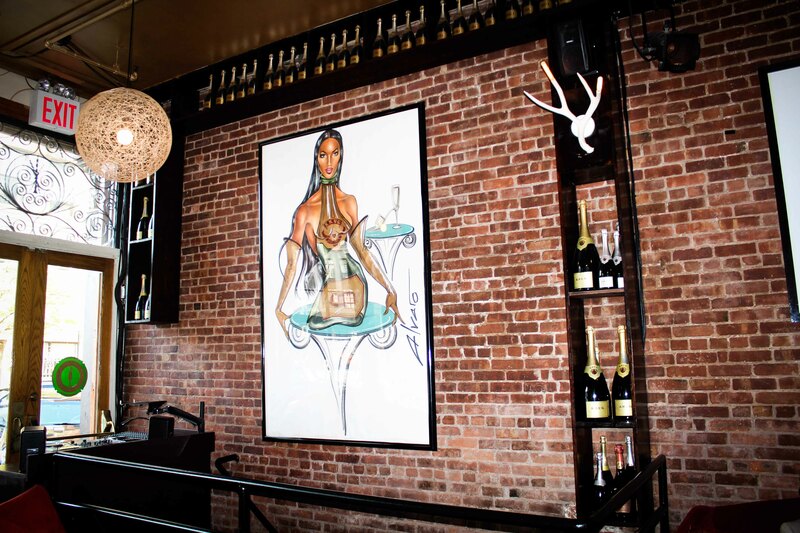 The décor is classy meets eclectic meets cozy – featuring comfy chairs and sofas that make you want to linger all night, and curious (I really can’t think of a better way to describe them) drawings on the walls that remind you that you’re in a champagne joint. And that women have curves. The champagne list is encyclopedic, and this is the source of my one gripe about The Bubble Lounge – unless you’re an expert, finding your way to a great bottle isn’t easy. Not only is the extensive list a bit of work to wade through, but staff knowledge is hit and miss – so expect to be pretty much on your own here. Still, with literally hundreds of sparkling wine options on the menu (plus cocktails), you’re bound to find something that suits your palate as well as your pocketbook. What is the little thing that makes The Bubble Lounge worth a visit? It manages to be a reasonably classy yet unpretentious spot to quaff a few high falutin’ bevvies. Come for the champagne, stay for the party. Where is it? Chalk up another winner for my fave NYC street (228 West Broadway, New York).